Lanna Dog Welfare volunteers will not only see how a local field sterilization project works during the days we sterilize 30-50 cats and dogs, but also will be exposed to a very local cultural Thai experience. The location of sterilization days is often in small communities, where traditions and ways of life are still motivated by old beliefs. Lanna Dog Welfare tries to work with these communities and the local people by teaching humane animal welfare without disrespecting the culture and old beliefs. Animal Welfare is Human Welfare is the message we send out, therefore respect must be given to both animal and human. Our field sterilizations are usually twice a month, every other Saturday. Dates are posted on our website between a few days and a week in advance. The reason we don’t have a long schedule ahead of time is because we have to adjust our dates to fit in with the local municipality, we also have to check the availability of vets from the Livestock department and Chiang Mai University Faculty of Veterinary Science. 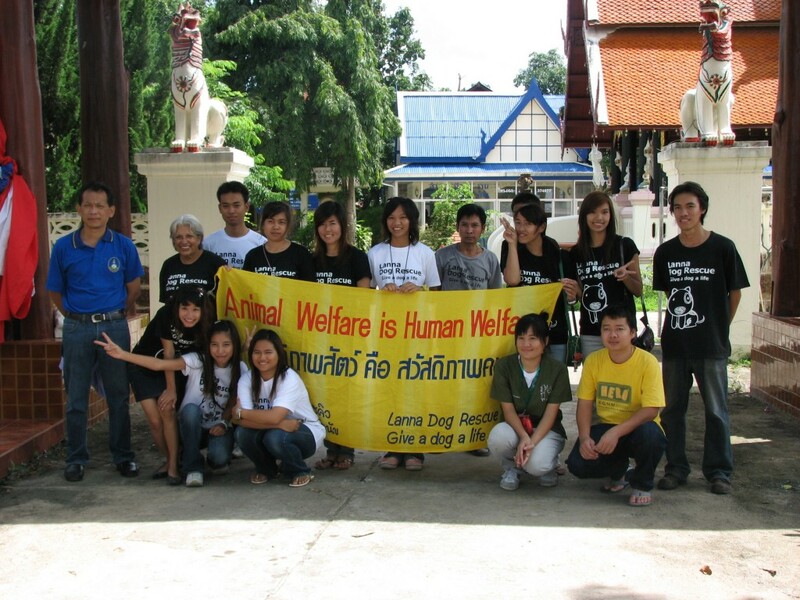 Thai Speaking volunteers can help with patient check in/registration and post-operative teaching for dog owners. Post-operative care: wound cleansing, dressing, tick and flea removal and treatment, and the monitoring of dogs and cats without owners until they wake up. On-site training will be provided by Bob or Dawn. Monitoring of patient record on chart, making sure the chart follows each patient. Selling T-shirts during sterilization days to bystanders and pet owners to help raise funds for the free sterilization provided. 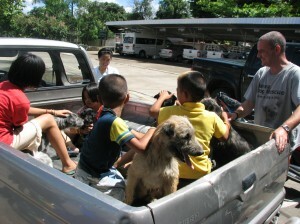 For Thai speaking volunteers: After surgery we teach pet owners how to care for their animals. During sterilization days: We provide posters for general animal welfare, and volunteers can go around teaching pet owners/caretakers about humane animal welfare relating to dog bite prevention, correct behavior towards stray dogs etc. Information will be provided by Bob, Dawn or Wilaiwan to the volunteers. Lanna Dog Welfare also provides several training programs throughout the year, if you have an animal healthcare or animal training background and would like to volunteer in a training program, please let Wilaiwan or Bob know. Lanna Dog tries to do one big fund raiser event a year around November-February, if you live in Chiang Mai and would like to help with our fund raiser please let us know. During festivals in Chiang Mai, Lanna Dog has a booth where we sell our products to fund raise, if you can help on those days, come to our booth to help sell or just keep us company. We also welcome other fund raising ideas. If you are a photographer professional or amateur, we welcome you to our field sterilization days to take photos and/or videos for our website and Facebook page. We will post your photos credited with your name. We regretfully inform you that Lanna Dog Welfare is unable to provide work visas or any accommodation.